What We Think: Do “As Seen on TV” products work? In What We Think, the Verve Team ventures out to try businesses, restaurants, products and trends so you don’t have to! 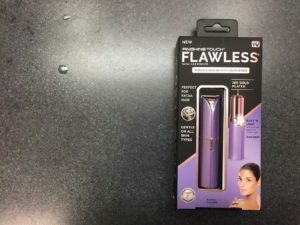 This week we tested out “As Seen on TV” products, the quirky products seen on cable television informercials at odd hours of the night. We each chose one product to test and gave it a rank 1-10, 10 being the best. Over the past couple years, activated charcoal has been praised for its detoxifying properties. The directions said to dip wet bristles into the powdered charcoal and brush for one to two minutes before going in with regular toothpaste and floss to whiten your teeth. On the box it said “Results in as little as one use!” So, I was expecting a subtle change after following the directions. The charcoal dried out my mouth and it didn’t exactly taste the best. Unfortunately, I didn’t see any difference, even after using it a couple of times since then. I would rate this product as 2/10. It’s messy and stains your toothbrush and clothes. The packaging was also excessive; the container only came half-full but cost $20 and there was enough room to include a toothbrush, since using the prodcut requires one. It adds an extra step to your morning and night routine, but doesn’t show quick results as it promises. 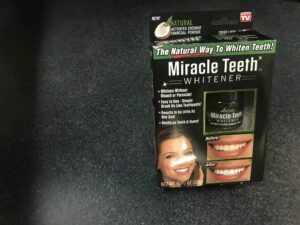 You could use this product to scare children for Halloween as it turns your whole mouth scarily black, but I don’t see it working as a teeth whitener. There is a possibility this product works, you just need to use it long term. I think if you’re going to try and whiten your teeth safely, buy whitening tooth paste and mouth wash. Or, you could go to your dentist and ask them to do it, but don’t waste $20 on a product that doesn’t give the results that it promises. Have you ever seen commercials for those face shaver things for women? I have, and I was skeptical of how they would work, as I am with most “As Seen on TV” products. How could this small little electric thing shave my face, and what’s the point? I have heard people say when you shave your face it’s easier to put makeup on, but how hard is that to begin with? After purchasing this item and trying it, my life has been changed. Which is really good, considering it was $20! The product was super easy to use and it didn’t hurt at all. The noise it makes is slightly intimidating, but you get used to it after awhile. It literally only took me about 10 minutes to shave my face too. The circular motions you make with it on your face could act as an exfoliator, although don’t take my word for that. It just feels nice, so I shaved my entire face. You probably only need to use it on specific, really hairy spots, but I wanted to “go big or go home.” It’s also grossly satisfying to clean the product out and see the hair. 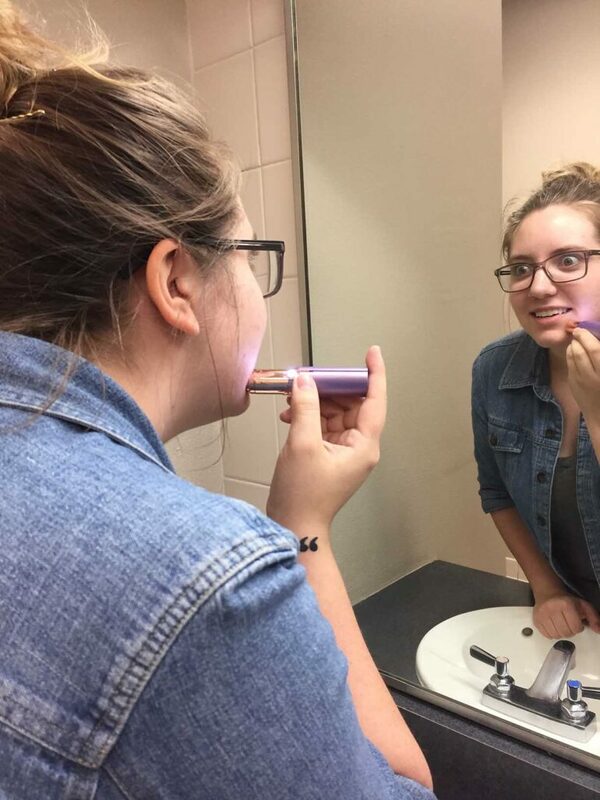 Of course, after I was finished shaving, I had to try to put makeup on, even though it was 9 p.m. on a Monday and I had nowhere to go. Everyone was right: it does make makeup go on much smoother, and it looks less ‘cakey.’ For all these reasons, and the fact that my face feels silky smooth, I’m giving this product a 10/10. 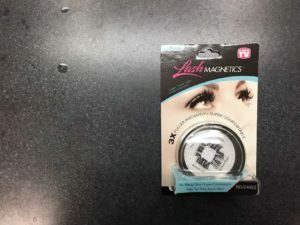 This week, I decided to experiment with Lash Magnetics, which are magnetic false eyelashes. I’d like to make things very clear: magnetic eyelashes do not work. There was no part of me that thought they would, however, I had the smallest bit of hope as I tried to place them on my lash line, only to almost get the things stuck in my eye. I should’ve known. It’s a good thing this product was on sale for $7. It gets better. Each lash section was labeled “bottom left” or “top right,” so the idea was to place the lashes in the top and bottom corners of your eye. Each lash section had an extremely tiny magnet in the middle, and the two magnets were supposed to meet to stick together. The way the product was actually designed would probably cause your eye to get stuck together with the magnets. However, this did not happen because magnetic eyelashes simply don’t work. Also, who in their right mind puts fake eyelashes on their bottom eyelashes? That seems silly considering the small size of these particular eyelashes. After giving them the old college try, I would not advise anyone to purchase magnetic lashes. Use the original fake eyelashes with glue, purchase a mascara or consider eyelash extensions. I would rank this product a 1/10 because it literally didn’t work.